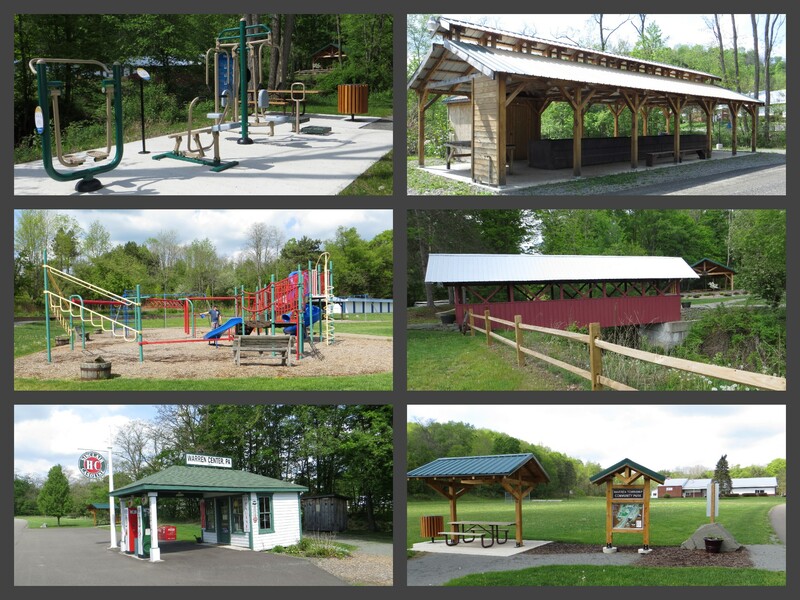 Warren Township is in the process of completing a Community Park with a basketball court, picnic pavilion and walking trail, which extends around the perimeter of the park. The trail may be used for all types of exercise - walking, biking, running, etc. There will be lighting and benches added for comfort and safety. Work should be finished by October 15, 2014. You can help by honoring a member of your family in sponsoring a memorial bench or plank on the covered bridge. In addition, you can volunteer to donate your time or materials (gravel, wiring, light fixtures, etc.) Contact Fred Wheaton or Janice Young at (570) 395-3594 for more information. The original brochure and a printable form to sponsor a memorial plank or bench are provided below. 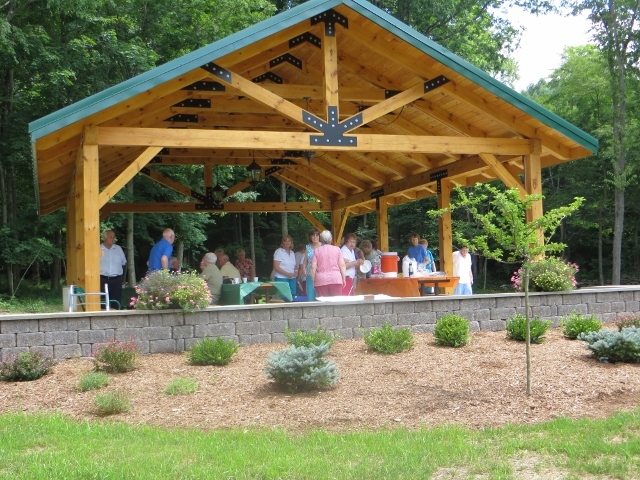 (July 30, 2013 update) Work on the Township Park pavilion is now complete and the Senior Center summer picnic was held in July 2013. A satellite view of the walking/jogging trail is also shown (see pictures below).